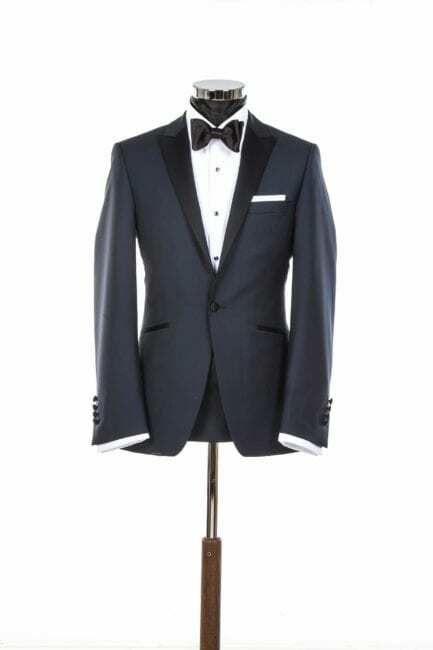 Slim fitting, black-tie wedding suit. Available to hire in black and midnight blue. 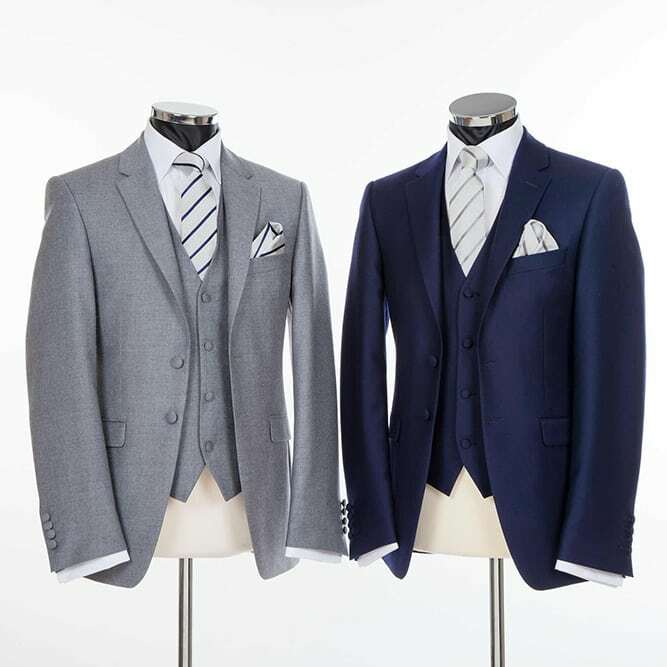 The Monaco Range is a slim fitting, elegant and stylish wedding suit. 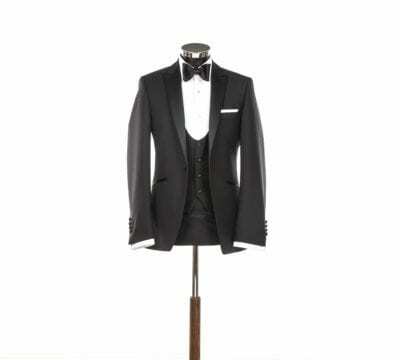 Suitable for Black-Tie weddings. 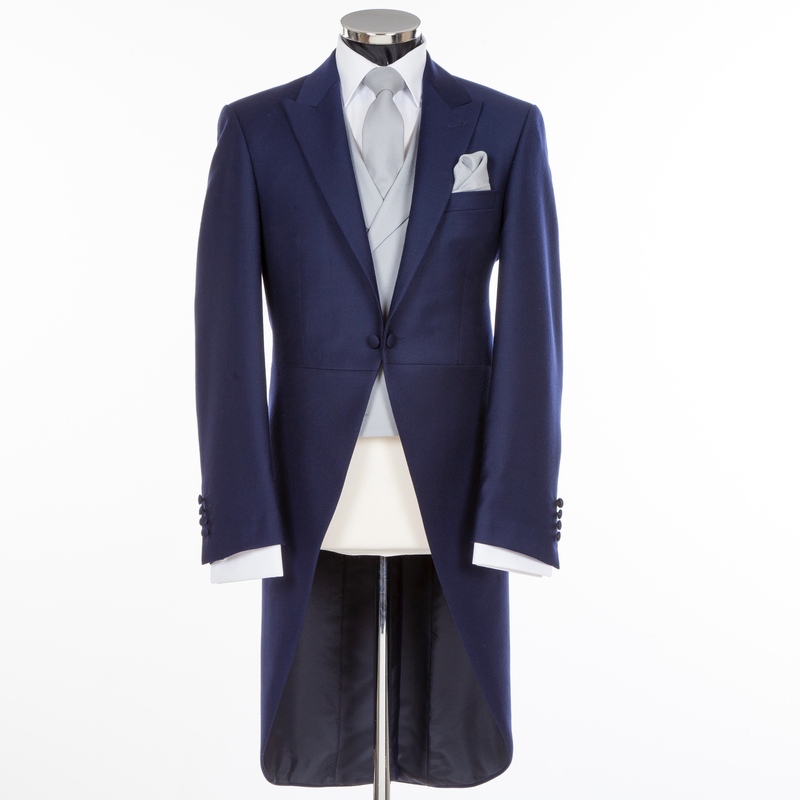 This timeless evening suit features satin lapels, covered buttons, and matching trouser braid. Simplicity, class and style combine to make this the look for contemporary weddings. 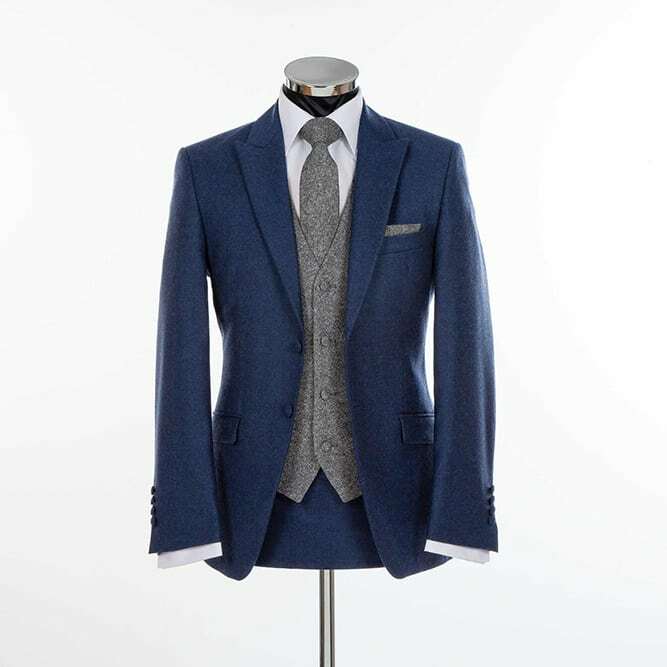 Effortlessly stylish, this new dinner suit combines the very best attributes of both modern slim-fit and traditional tailoring. Jet-Black, pure lightweight, barathea wool. Midnight-Blue, pure lightweight, barathea wool. 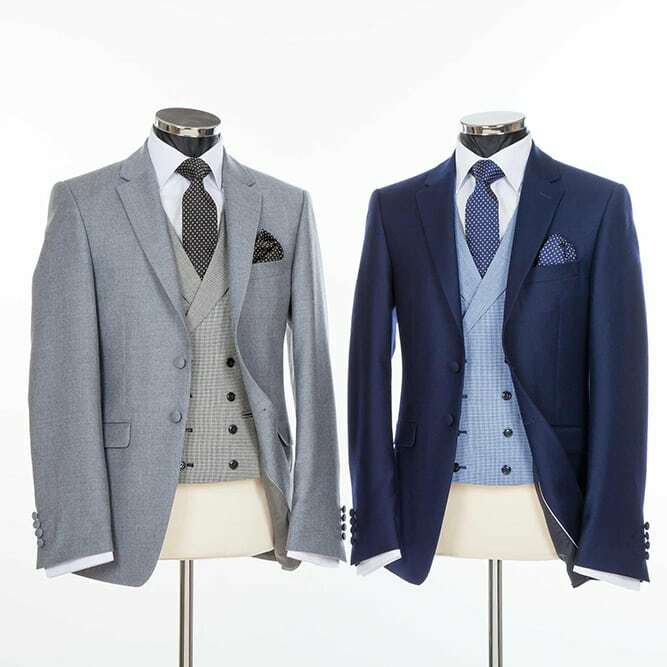 What sets Jack Bunneys apart is that unlike many, they have not forgotten or allow to slip that special relationship that a man has with his tailor and the legacy that comes with that. I’m not talking about just good service in the purely transactional experiences we get used to these days where if you’re lucky and paying a lot of money someone will be nice to you in order to sell you something. Here you get to come in, talk a while through your needs as well as other things and get to know these fine folks and they get to know you too, which makes a massive impact in the final product.